“Giving to our ministry does the Lord's work” - Jim Bakker, televangelist of the 700 Club and the PTL Club (Praise The Lord), convicted of financial fraud in 1989 who served five years of a forty- five year sentence. He was back on the air in 2003 with the Jim Bakker show, which still airs today. A group of hackers called the Samaritans target churches who are defrauding their congregations and misusing donations to buy things like mansions and private jets. The Samaritans steal back the already stolen money and donate it to various charities. When a skilled FBI agent, Jimmy Miller succeeds in tracking down and returning the stolen money to the churches (which are now being investigated for fraud) the Samaritans escalate things and stage an armed robbery at a corrupt megachurch. Miller believes he can catch the Samaritans, he just isn't sure whether that's the right thing to do. The Tithe is a heist story with an unusual setting, and an undercurrent of social commentary. It explores (briefly, this being just the first issue) ideas about why people believe in a fairly balanced way. It would probably appeal more to atheists, but presumably a lot of religious people would also be annoyed about corrupt church officials ripping off people who have donated in good faith. It's also a fun and intriguing crime story, though the dialogue is maybe a little clunky, in a hurry to give you the characters' back stories instead of letting the information come across organically over a number of issues. It was written by Matt Hawkins of Think Tank and Lady Pendragon, among other titles. The art is decent and I particularly liked the cover by Rahsan Ekedal (of Think Tank and Echoes), which is admittedly what drew me to the series in the first place. 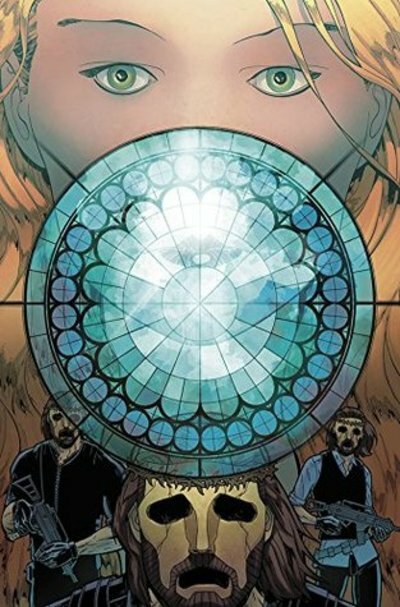 The Tithe has a fun premise and potential for some great action and interesting exploration of the themes set up in the first issue. The series is off to an interesting start, and I look forward to reading the next one. What is the best first sentence of any novel you've read? Where is the best place to read?